We saw more Google Assistant-powered speakers and technologies at CES 2018 than we can possibly keep track of, but JBL was one of the companies that stood out. For one, they’ve got new Assistant-powered headphones on the way, as well as one of the first smart display speakers. That news aside, for those not familiar with JBL, you may not know that they already have an entire line of speakers already on the market with Google Assistant on board. And right now, almost all of them are discounted by $50, bringing some down to as little as $99.99. 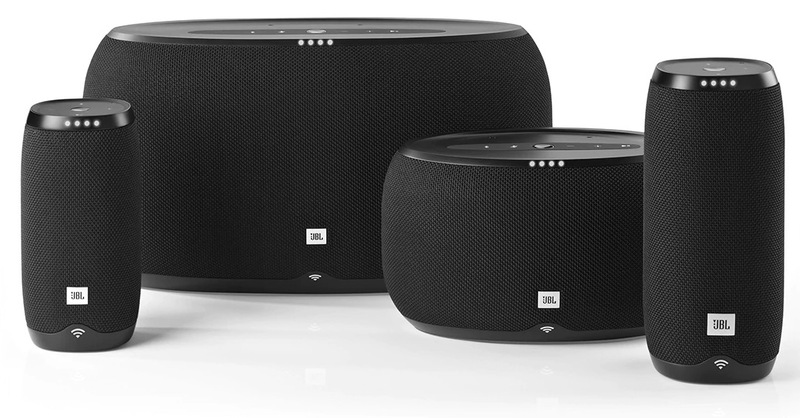 Most of the JBL LINK series (10, 20, and 300) are discounted by $50, so you can get into a voice-activated, Google Assistant speaker from them for $99,99, $149,99, or $199.99 at the moment. The JBL 10 and JBL 20 are the two portable options here. They feature 4000mAh batteries, are multi-room audio compatible, and can be voice-actived from across a room. The JBL 300 is the beast of the three, so it’s not portable. It does feature a woofer and tweet, though, as well as Google Assistant voice-activation, Cast support, multi-room audio, and more. Both Verizon and Best Buy have the same $50 off deals, though I’d imagine you can find them at other retailers too. Samsung's First Galaxy S9 Teaser for February 25 Says Its Camera is "Reimagined"